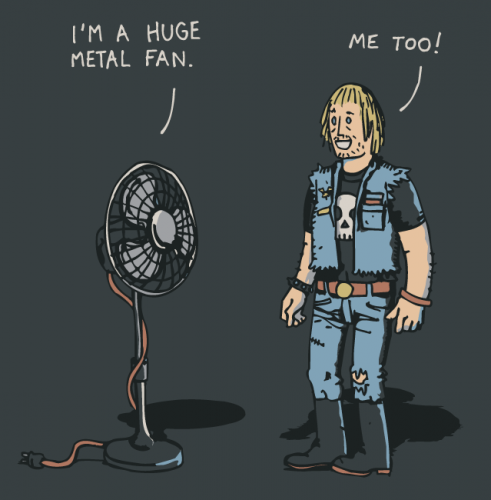 I\’m a huge metal fan! ENEMIES OF METAL. YOUR DEATH IS OUR REWARD! Oh the irony? Reznor is an actual brand of large scale “giant” metal fans. I’ve seen them in Colorado. They use them (I don’t know if they still have them) at my high school. They’re actually linked to Trent Reznor’s bloodline. you’re only as good as your fans.